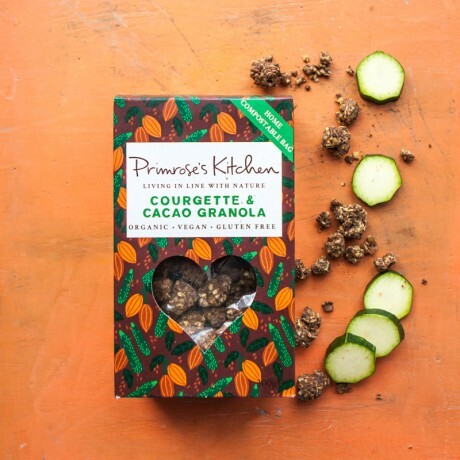 Organic Courgette & Cacao Granola. A vital and wholesome combination of sunflower seeds, coconut, sprouted buckwheat, dates, courgette & cacao. 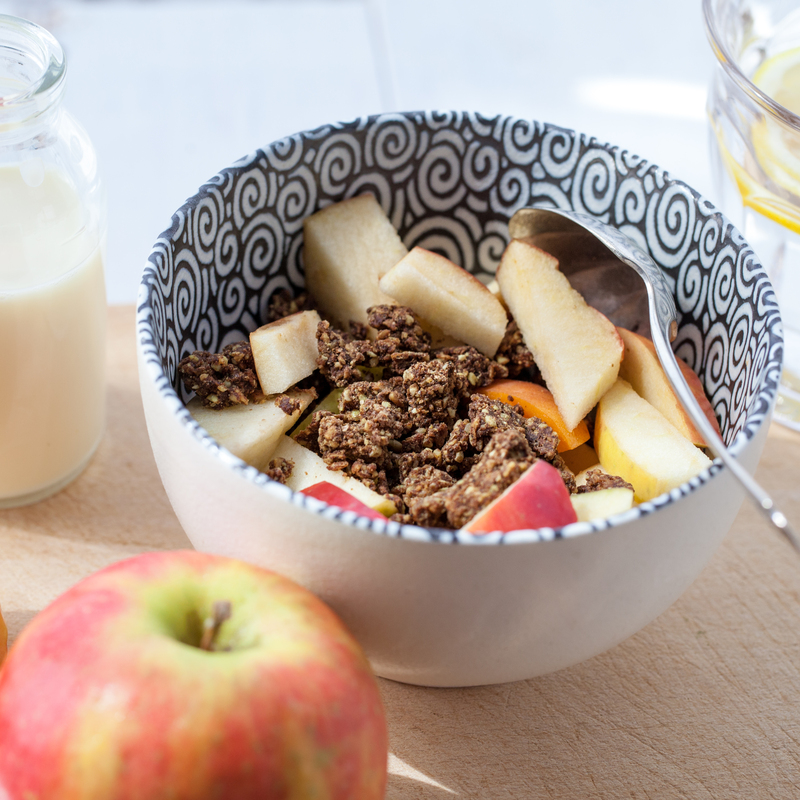 Primrose's Kitchen granola is toasted at low temperatures to preserve nutrients & enzymes. Available to buy as 1 x 300g, 6 x 300g packs or 1 x 3kg pack.